The past few months I’ve included Carlos on my top five lists. “What is Carlos?” some of my fellow Grouches asked me. When I told them, they then tried to disqualify it from our lists. I clearly do not work with serious people. Carlos is the latest from Olivier Assayas, the director of one of my favorite 2009 films, Summer Hours. It showed at Cannes to wonderful reviews. Also it’s 5.5 hours long not including intermissions. The length has made has made it something of a curiosity. It was commissioned as a French miniseries and IFC took the full-length version on a US roadshow. A condensed version got a larger release while Sundance aired it as a miniseries. The film tells the story of Carlos “The Jackal,” the terrorist and revolutionary. In the early 70s he is a idealistic young man fighting for Palestinian liberation. He attempts some assassinations, kills police officers who try to arrest him, and leads a daring raid on the OPEC headquarters. By the 90s, he’s a pudgy mercenary relying on unsavory friends and exiled in Sudan, barely giving lip service to his former ideals. Édgar Ramírez is remarkable as Carlos and undergoes a striking physical transformation. Young Carlos is strong and sure, full of conviction and a Cassanova. Old Carlos is desperate, paranoid, delusional, and haggard. Thankfully, Ramírez has received some awards season attention, albeit often in the miniseries category. The film itself flies by despite its length. The action comes and goes and is mostly concentrated earlier in the film, but it succeeds as an in-depth and engrossing character study. Carlos is in every scene and is a thrill to watch. By taking its time developing the character and charting his rise and fall, the audience really understands him. That said, you don’t necessarily need to watch it all in one sitting. It works great in its long form, but I doubt it would lose anything if watched in its three miniseries chunks. I am curious about the abridged version. I feel like it wouldn’t work just by chopping half the scenes since its greatness is derived by its deep dive into the character. It would require a whole new edit to maintain its power, I would think, re-editing scenes instead of cutting out plots. It’s not eligible for the Oscars, I think because its commercial debut was on French television. 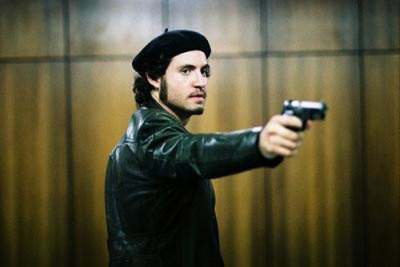 If not, I think Edgar Ramirez may well have been a player for Best Actor. Anyway, well worth seeking out. “Not eligible for Oscar” and “premiered on French television” — what is there about this not being qualified for your top 5 films of the year that doesn’t make sense? It won the Golden Globe for Best TV Miniseries. Lots of things aren’t eligible for the Oscars. A Prophet isn’t eligible for the Oscars. Doesn’t stop it from getting plenty of love from critics groups.